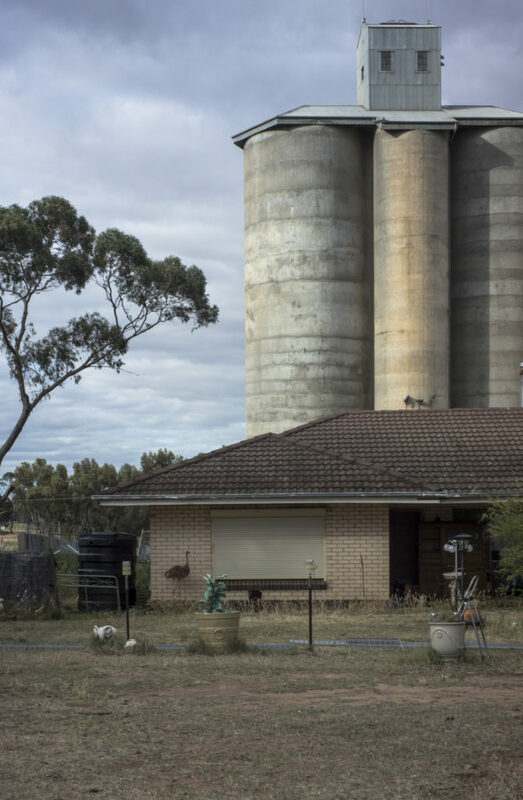 Surprisingly, some of the short stories appear to have little connection to South Australia, and there is little by way of inclusion of contemporary photography about Adelaide or South Australia. 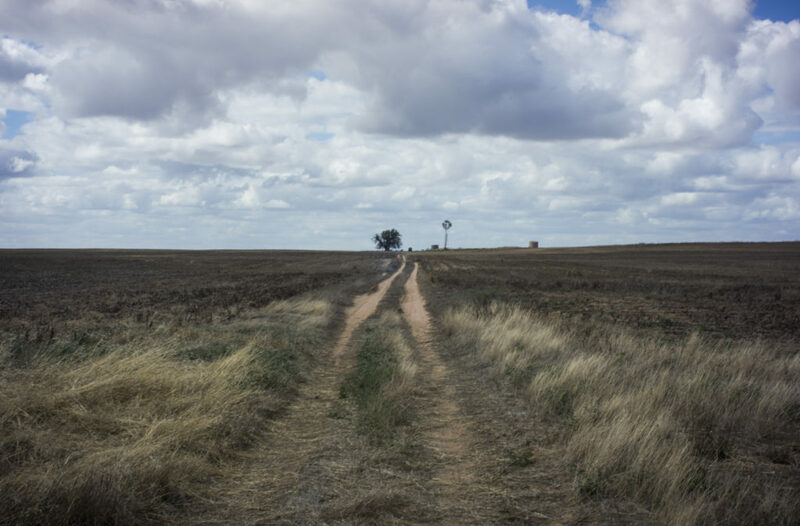 There is visual photo essay on rural South Australian with the Lost geographies by Annette Willis: a photo story concerned with the past failure of settler culture in South Australia north of the Goyder line in the Flinders Ranges. The Riverland and its wineries are also included in State of Hope text, but not the Mallee country. The Mallee is forgotten country in this text, along with the erasure of its human past. I found no mention of the Mallee apart from the brief mention of mallee scrub south of the Goyder Line that stretches from Ceduna in the west to Pinaroo in the east on the Victorian border. Goyder’s Line is shifting south ward under the impact of climate change, and so the pioneer history of ‘struggle country ( greening a brown land) — and associated myth of a golden age of agriculture and historical narrative of endurance, will continue. Will the settler discourse on drought, where drought is seen as exceptional, unfortunate, even disastrous, rather than a ‘normal’ aspect of the local climate, also continue under the impact of climate change? The settler discourse in this region is one of hanging on and surviving on hope. The absence of the Mallee in State of Hope is puzzling. This is a strange omission as climate change starts to take effect in Adelaide and South Australia. The history of dryland agriculture in the form of large-scale wheat production with enhanced drought tolerance would surely be an example of experiment and innovation. Moreover, isn’t the predicted impact of climate change on our agricultural production regions–a warming and drying climate—a key aspect of South Australia’s future? Isn’t Adelaide going to suffer from increasingly severe heatwaves and declines in average yearly rainfall over the next couple of decades? What kind of disturbing future will this be for Adelaide with its vulnerable water resources? Doesn’t this suggest a rethinking of our intellectual traditions about how we view water, given our dependency on fresh water for our survival? In recent decades there has been a general trend towards decreased late autumn and winter rainfall across southern Australia, which includes most of the cropping zone of southern SA. Associated with this is the projected temperatures rising by 0.4°C to 1.8°C , drying soils, and increased soil erosion. The likely increases in temperature, but also decreases in rainfall and a combination of these would tend to increase the drought periods and the dry spells and so reduce the productivity of South Australia’s cropping lands in the Mallee. So how will the people in the Mallee cope as the temperatures heat up? Presumably, wheat will still grow, even if the rainfall season is shortened–eg., through planting species with shorter growing seasons, dry sowing seeds and tilling fields less often. Agri-businesses will become larger with greater integration into global markets. The old settler narrative of ‘we’ve lived though dry spells before, it will come good’, which is based on traditional local knowledge and lived experience, probably won’t hold up under impacts of broader economic restructuring on rural industries and climate change. What we can infer from this exclusion of the Mallee from the State of Hope text is that the Mallee in South Australia is a ghost land, along with its dreams, hopes, memories and narratives about land clearing, and it has disappeared into the early history of the 20th century. It plays no role in Australia’s post-industrial economy, since that future, according to the economists, is about robotics, innovations labs, digital special-effects firms, biomedicine etc, education, not the dry, cropping lands in the Mallee. 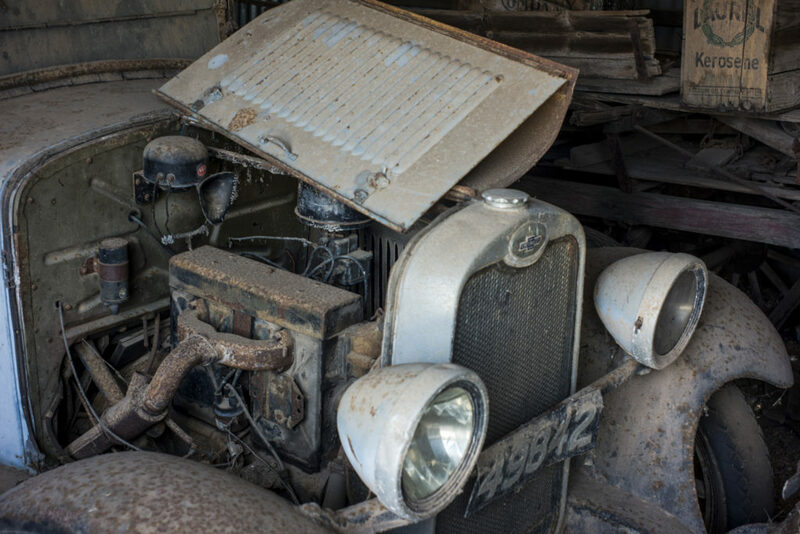 The Mallee has become a series of lost places and its relics of closer settlement represent rural abandonment. The wheatlands are the heartland of rural decline. Yet we need to remember how the pioneer narrative about a land deemed empty and land clearing, which was about enabling the settler vision of a land opened up, ready for taking and economic development at all costs, ignored the destructive aspects of economic progress. We need to remember how external expertise and scientific knowledge remained out of step with the prevailing cultural practice of learning through localised, lived experience of climate. It is the latter with its enduring drought and clinging to the hope that farming conditions would go back to the way they once were, that is part of the identity formation of the people in the Mallee. 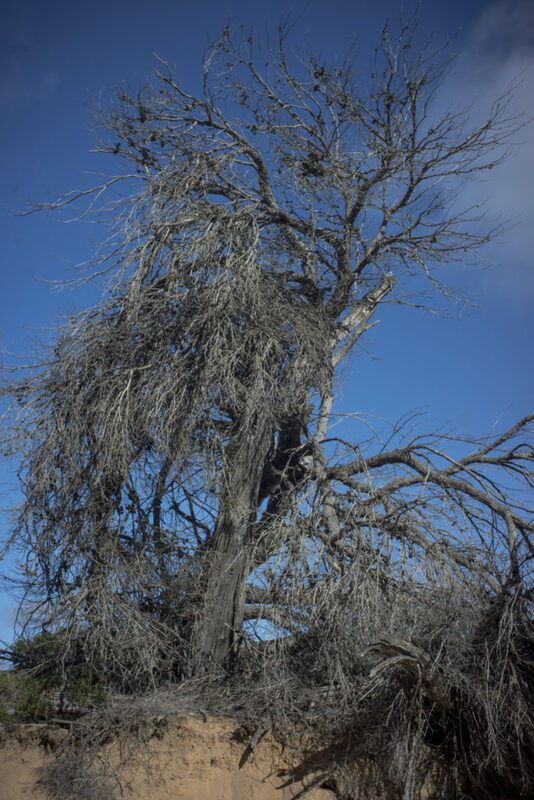 It is the long term consequences of the settler attempts to remake the Mallee in the early 20th century that is being forgotten: the removal of too much vegetative cover, followed by inappropriate land use; soil erosion, dust storms in summer, land degradation through salinisation; the loss of biodiversity.This is not a history that we should forget. Great Article Gary. Would love to discuss more with you in the coming yrs.